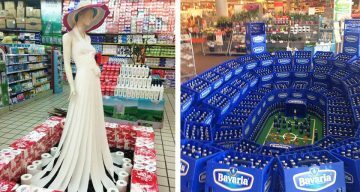 Talk about standing out from the crowd. 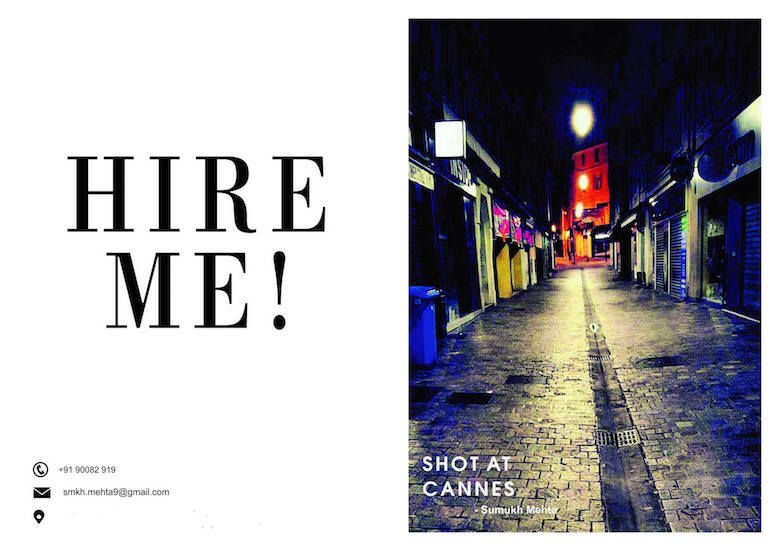 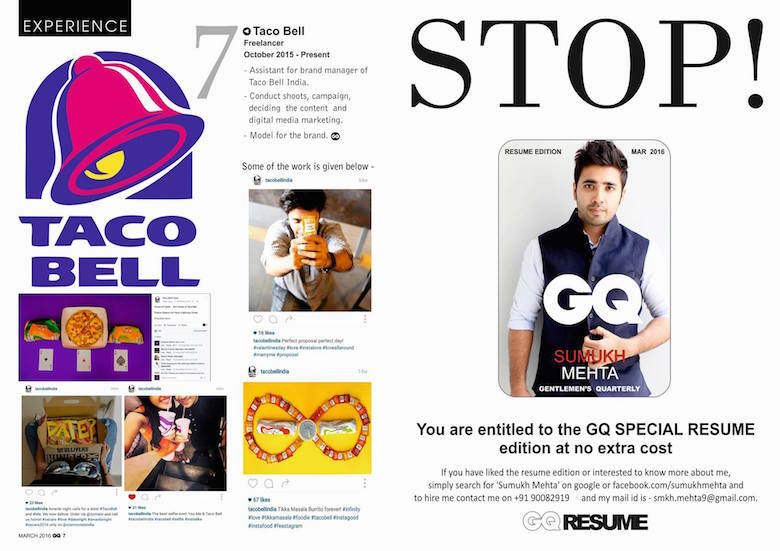 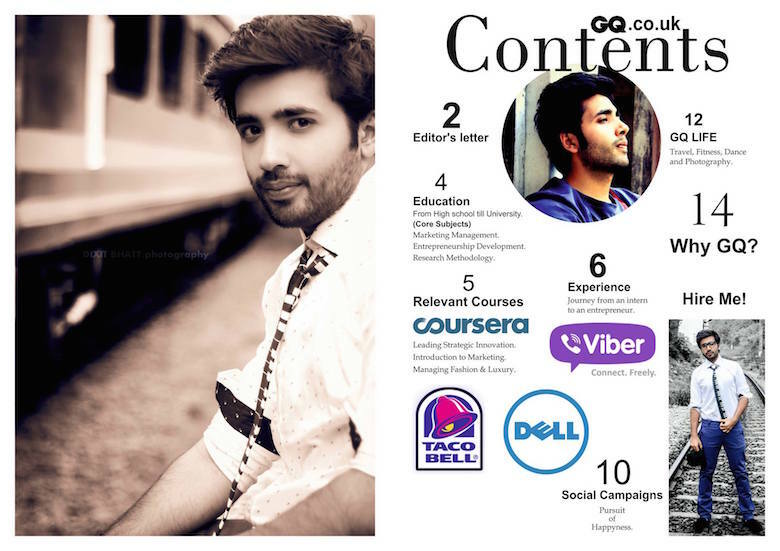 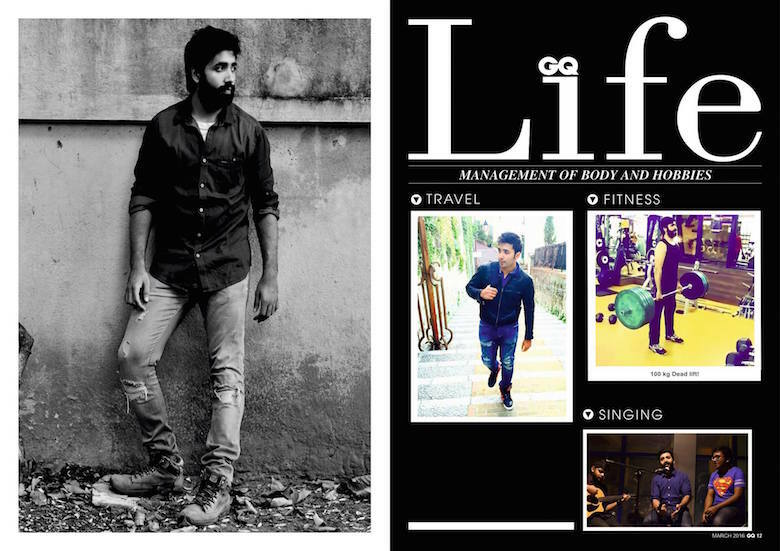 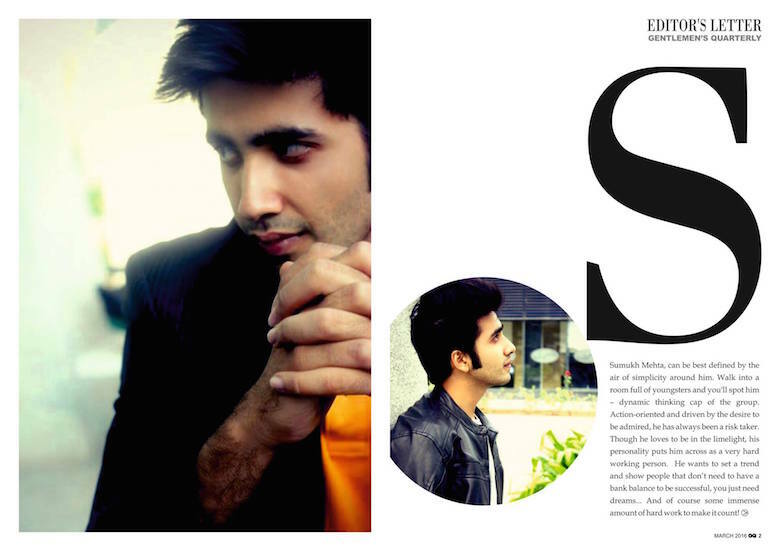 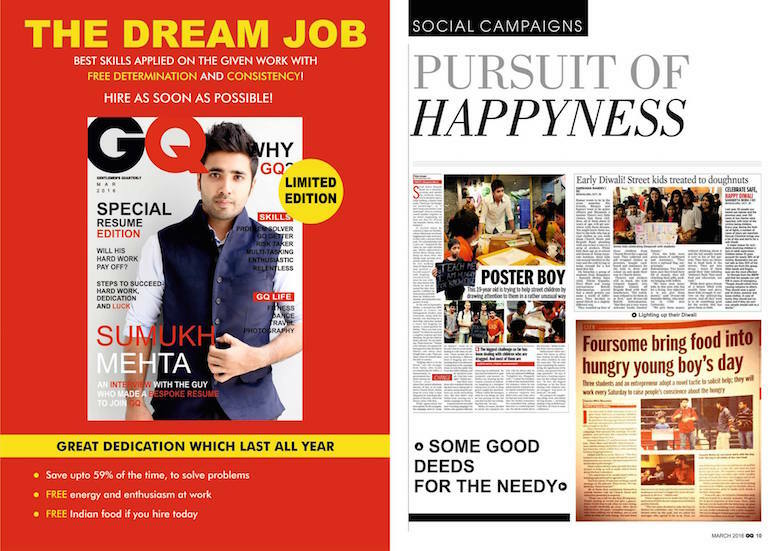 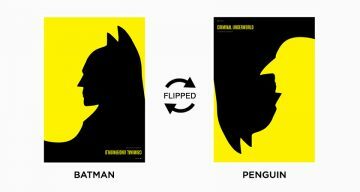 21-year-old Sumukh Mehta from Bangalore, India, created a 20-page magazine-style resume to apply for a marketing job at GQ. 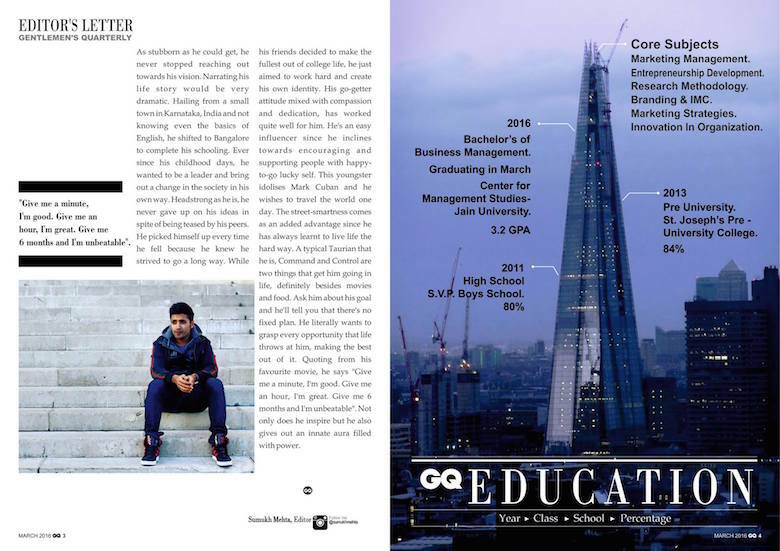 He filled the inner pages with information about his work experience, skills, education, etc. 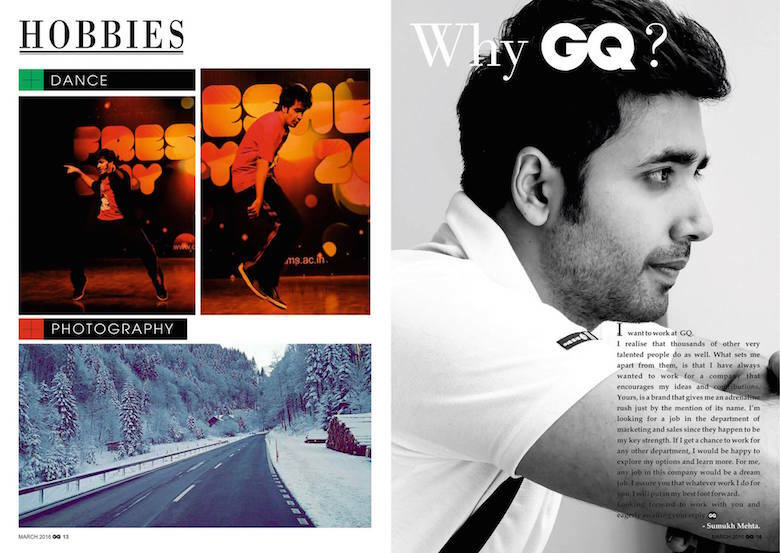 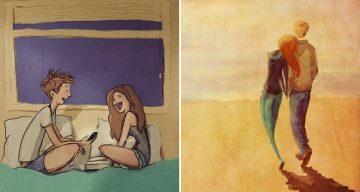 and made them look exactly like the editorial spread of a magazine. 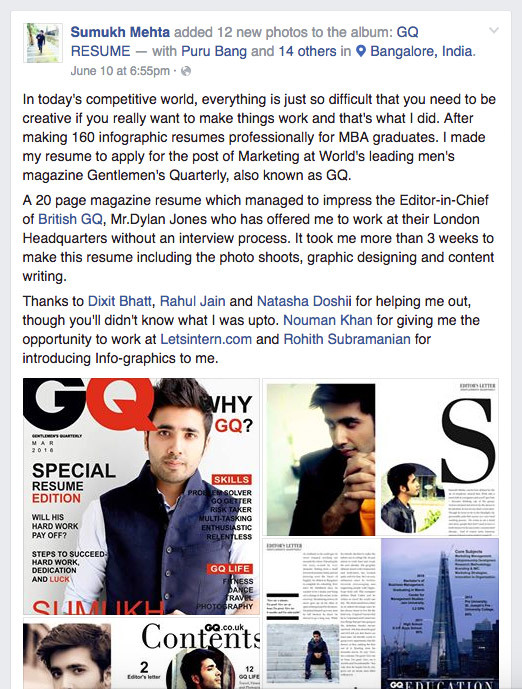 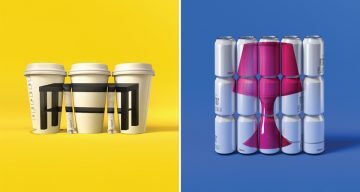 It took him three weeks of photo shoots, graphic designing and content writing to create this unique resume, which caught the eye of Dylan Jones, editor-in-chief at British GQ. 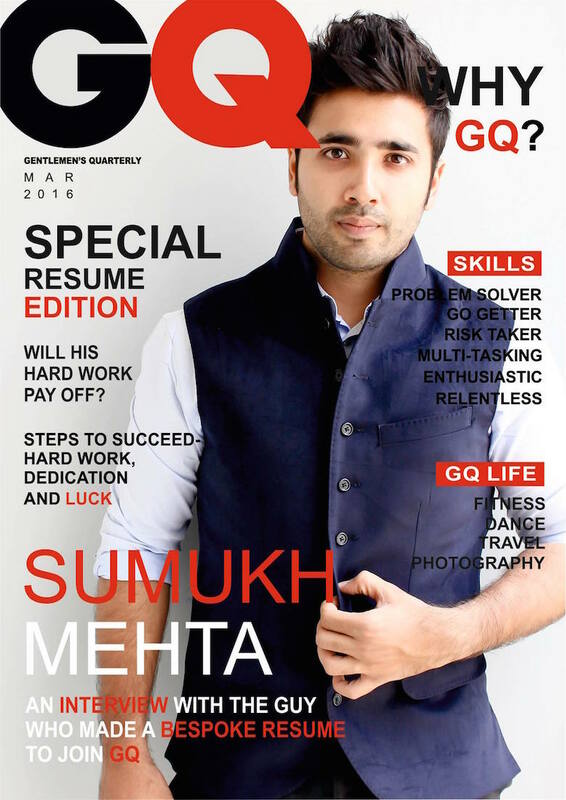 He offered Mehta an internship at their London headquarters, without an interview process, purely on the basis of his resume. 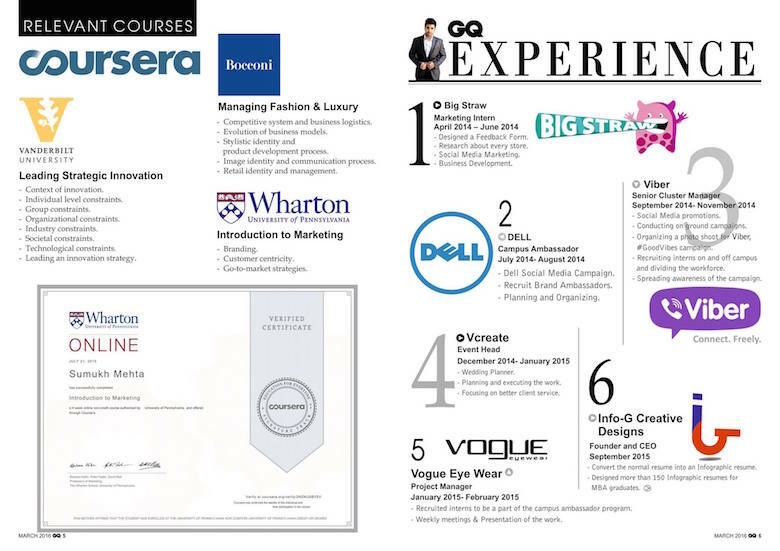 Mehta has previously created over 160 infographic resumes for MBA graduates to help them find the right job. 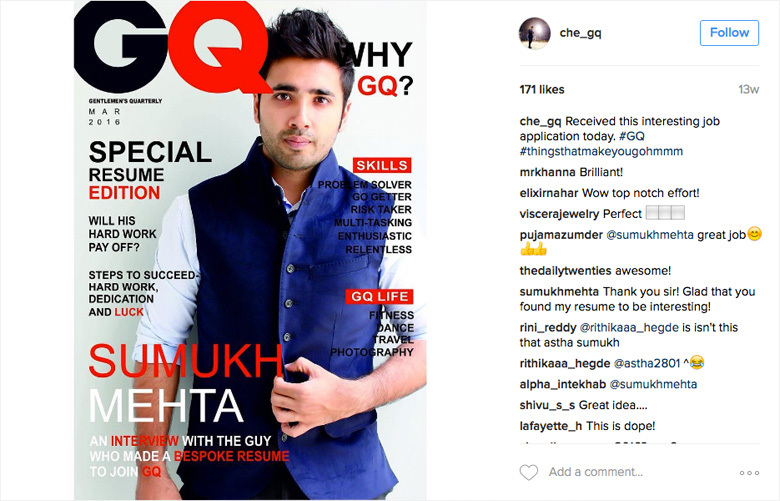 Check out his GQ resume below.